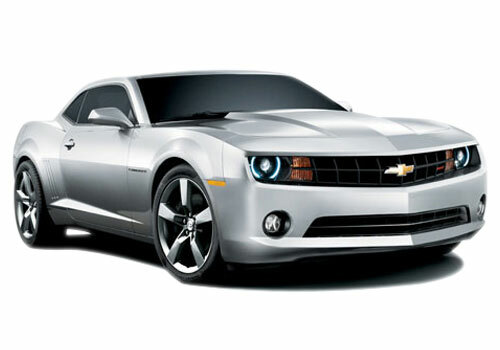 The hottest news is, Chevrolet Camaro Muscle car could be launched in the Indian automotive market, showcased at the 2012 Delhi Auto Expo. Earlier, the General Motors India had denied all the stories concerning to the Chevrolet Camaro launch in India but, again it has caught the headlines everywhere. This muscle car has stolen million of hearts and rumoured to be got an iconic role in the Transformers Hollywood movie franchise. If the most admired Chevrolet Camaro muscle car will be launched in Indian market then, it’s sure that the American automaker General Motors will achieve the new heights of success. It will be imported as the CBU (Completely Built Unit). The five generations of the Chevrolet Camaro Muscle car have established a firm grip over the global market, made debut in 1966. The current generation of Camaro muscle car is available in three trim levels and three petrol engine options including LS, LT & SS and a 3.6 litre V6, a 6.2 litre V8 & L99 V8 (automatic SS) engine respectively. The LT & LS variants come powered by a 3.6 litre V6 engine producing a maximum power of 304hp. This engine is coupled with either a 6 speed manual or a 6 speed automatic with manual shift. Whereas, the SS trim variant is boosted with a 6.2 litre LS3 V8 engine offering a peak power of 426hp. The next generation Chevrolet Camaro ZL1 will be launched in two basic engine options with manual or automatic six speed transmissions. A dual clutch six speed manual unit and supercharger are the other significant features that make it more powerful than its siblings.